Marching Band, Sheet Music Download, Level 3. Artist: Stevie Wonder. Arranger: Paul Murtha. Composer: Stevie Wonder. Writer: Paul Murtha; Stevie Wonder. 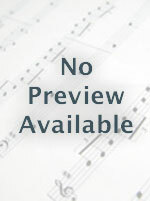 Superstition (includes "Living for the City" Intro) - Trombone: Printable Sheet Music This sheet music has not received any reviews yet, you can be the first one to write one!